How do I motivate myself to finish projects? Focus on why. Dan Pink has researched the topic of human motivation thoroughly and concluded that having a sense of purpose is the best motivator. If you know why do you want to do something, it gets way easier to start as well as to finish doing it. What is the purpose of your project? Start with “Why?” and proceed to idea No. 2. Come up with a deadline. Say what you will, but the deadline is a really good tool that pushes us to wrap things up. 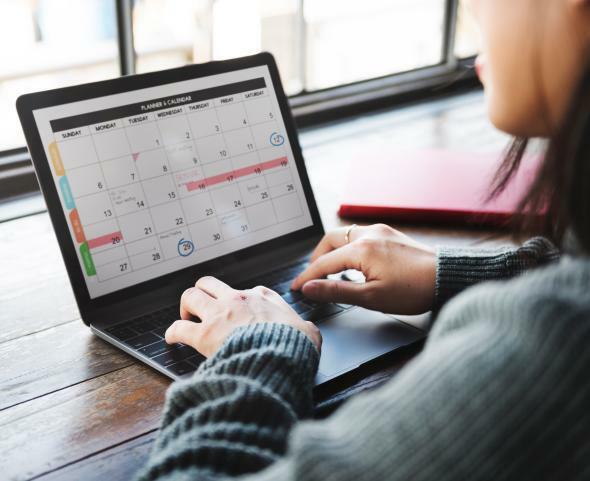 Even if it’s an arbitrary, self-imposed date, the simple act of circling it on the calendar can boost our sense of urgency, motivation, and likelihood of finishing. Deadlines are good. They make us procrastinate less and come up with an action plan. Announce the deadline. If you’re the only one holding yourself accountable, you will be very likely to skip the deadline. You will justify your actions and the lack of results: “This was a busy week anyways. I couldn’t find the perfect cover photo. It doesn’t matter, nobody knows about this deadline.” When you announce your deadline to someone else, it takes on much greater significance. You cannot let those people down. They will expect results from you. That’s how you build your credibility. Your ability to finish will not be questioned. Track your progress. Like many, I am a visual learner. I feel best when I can see my progress. Thus, I try to track it. I mark the days on the calendar when I did yoga or exercised, when I wrote, and so on. Seeing a blank calendar makes me feel bad, so I try to fill it in as best I can. For projects, you can also use a calendar or any kind of visual tool where you can present a step-by-step process. You can check off all the accomplished steps and follow your progress closely. Plus, it’s exciting, which is exactly the type of energy you need in order to become a better project finisher. Work in small steps, but get ready for a few long and focused sessions. Small steps will take you far. Work slowly, consistently, and diligently. But also get ready to invest some more time and energy and make some bigger leaps to finish the project. Around the deadline, that’s usually what you have to do. Complete smaller challenges first. That’s how you build consistency. When you come home from work, hang your coat instead of putting it on the couch, change your clothes, and unpack your bag. When you put a mug in a sink, invest 10 more seconds and wash it. Follow the two-minute rule: If something can be done in less than two minutes, do it now. That way you will finish a number of small tasks, feel accomplished, and build momentum to finish bigger projects. Kill your perfectionism. Perfectionism is a huge enemy of getting things done. You will never do a project perfectly. You can always polish this sentence and that chart a bit more. You can always embellish the introduction or cover page; you can always work a bit more. Will it be perfect after all those interventions? Hell no! So forget the perfectionism. Do good, quality, valuable work. Wrap it up. Ship it. What is the value of the imperfect novel that sits in your drawer, the blog post draft that needs just a couple more tweaks, the website that is not ready to be shown to the world yet? A pile of poop. When you complete it and ship it in its less-than-perfect state, that’s another story. Done is better than perfect. And here is a helpful resource, created by Seth Godin. Remember that finishing gives you new energy. We are often afraid of finishing because we anticipate that finishing will require too much work. In fact, carrying a whole bunch of open loops and unfinished tasks requires too much mental work. It drains your energy. Whenever you finish something, you get an energy boost. Try it with something small (see No. 7) and see yourself. You don’t have to finish everything. Last but not least, maybe finishing is not what you really need. It depends on the project. Go back to Nos. 1 and 2 and see what the purpose of your project is, what the benefits are, and why you want to do this instead of something else. Procrastination can be a form of intuition; you may feel that a certain endeavor is not the best use of your time and lose your enthusiasm. Persistence is valuable, but only if you persist on meaningful things. If you persist in doing the wrong things over and over again, it will lead you nowhere. I never finish the book I don’t like after 50 pages or the movie that doesn’t resonate with me after 30 minutes. What’s the point? There are so many better ways to spend my time. No one will give me an award for finishing meaningless stuff. If you are not sure whether you should quit or commit, Seth Godin (once again) has got you covered. I hope these ideas will help you make some difficult choices and finish some meaningful projects. Life Advice: What is the biggest mistake you have ever made? Motivation: What is something you can do in the morning to make your day better?